Former president John Agyekum Kufuor together with the Asantehene, Otumfuo Osei Tutu 11 have been spotted in Britain ahead of a crucial meeting by Grand Masters of the Freemasons. Former president Kufuor was recently "promoted" to become a Senior Grand Warden of the United Grand Lodge of England (UGLE). So far, John Kuffuor and the Asantehene remain the only Ghanaians publicly known for their deeper relations with an international secret society of the Freemasons. 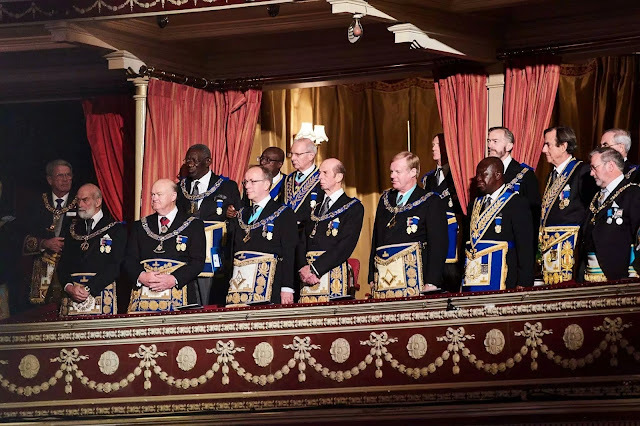 The appearance of both high citizens of Ghana at the the Royal Albert Hall in London for the crucial conference comes in the wake of diverse views Ghanaians often have about the Freemasons as most people see the society as a cult which preoccupies itself with human sacrifices.